An artist is a person who questions the rules of a society and by means of her art offers an alternative or a different perspective. The role of art is to point to reality, expose it and be a point of origin for discussion. Humans started wearing clothing around 170,000 years ago. The earliest known sewing needle dates back to 28000 B.C., and the Industrial Revolution brought about the power loom and the sewing machine, mechanizing the textile industry. Throughout human history, clothing was at first functional; protecting its wearer from harsh environments and the weather. Then, it became a way for people to express their culture, wealth, social status, religion, gender and personal style. Today, clothes are our second-skin. But how deep is our relationship with our clothes? 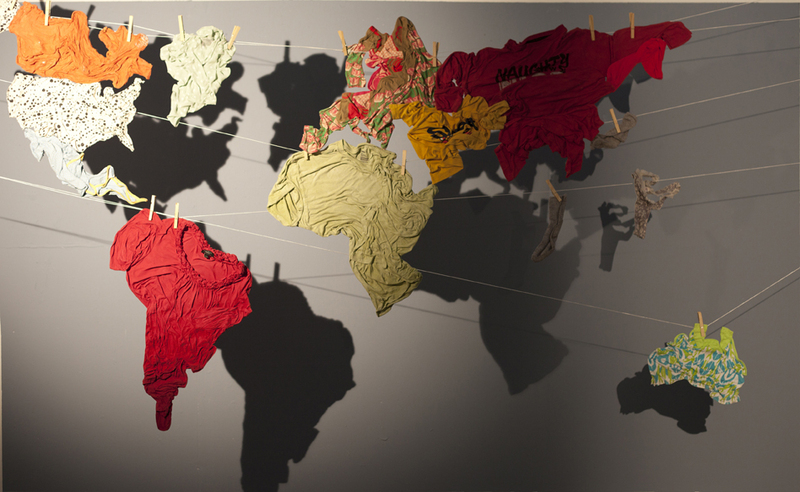 The printing press may represent a spectrum of economical and psychological pressures associated with the global textile industry — low wages, long hours, and sweatshop conditions on the garment workers’ end; and fashion trends, the cost of quality clothing, and ethically responsible shopping on the consumer’s side. 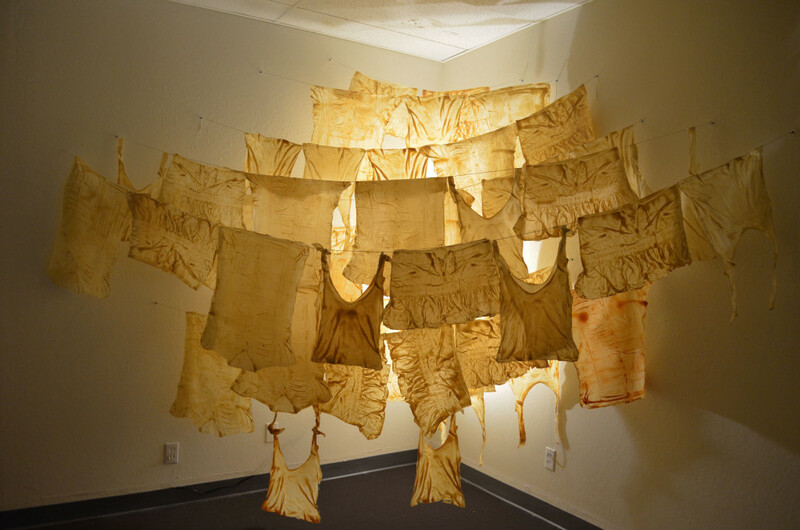 Irene’s somewhat haunting prints and installations remind us that clothing is a multifaceted and integrated part of our lives. The artist’s anthropomorphic prints could reflect the ghosts of human impact, stamping our place in history under the pressures of society and economy through the garment industry. “The artist is a philosopher, poet and critical thinker,” Irene says. “An artist is a person who questions the rules of a society and by means of her art offers an alternative or a different perspective. The role of art is to point to reality, expose it and be a point of origin for discussion.” And usually, the goal is for these discussions to lead to positive change. There are no rules. That if someone tells you this is the way to do it you should be distrustful. The San Francisco-based artist has been a maker all her life, and naturally, she got her start in drawing. 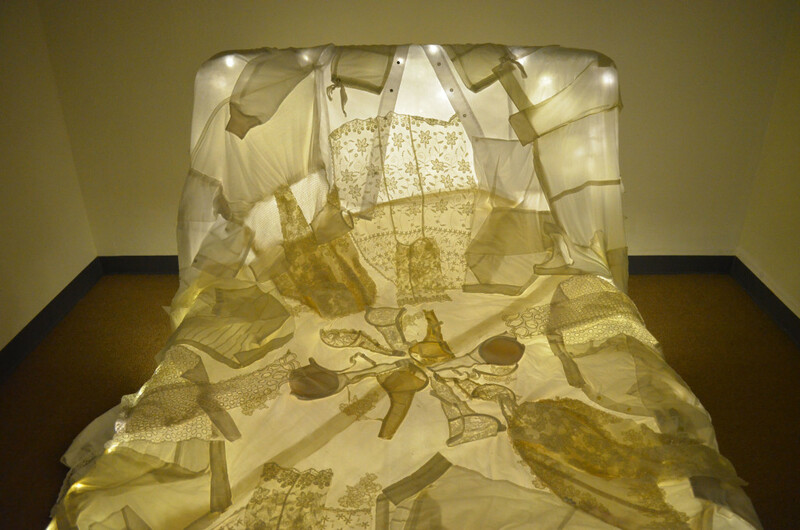 “This became the gateway to sculpture and printmaking, which are my main mediums,” Carvajal says. If there’s one thing the artist wished she knew before she started her career, it’s that there are no rules. “If someone tells you, ‘this is the way to do it,’ you should be distrustful,” she says. Believe in yourself and your work. Take a moment and honor the decision and whatever steps you have taken to be an artist. It is an important job you’ve chosen to do. That last part is especially important. Irene says to keep putting your work out there despite being turned down. “Be resilient. Don’t be disappointed at the rejections; learn from them,” she says. “Even if you get a rejection, your work is being seen, so keep on applying.” Oftentimes when Carvajal would apply to a particular show and not be accepted, the curators offered her other shows just because they saw her work. As for what’s next, Irene is continuing to work with casting and printing with everyday domestic objects, and she is working on several shows up to early next year. Presently, Irene is in the inaugural show at The Brayer in Ventura, CA, and has upcoming solo shows at Root Division in San Francisco and at Minan Gallery in Los Angeles. 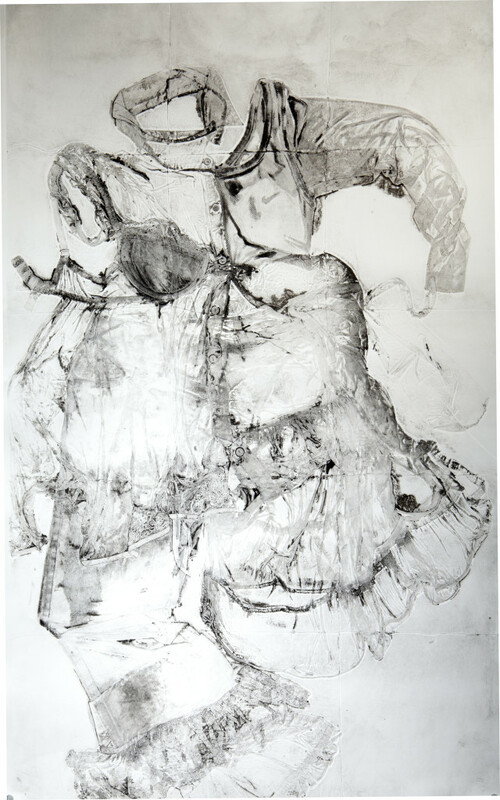 As a curator, Irene is currently showing the work of Gail Wight (until 23 August) and David Tim (from 19 July) at the Peninsula Museum of Art in Burlingame, CA. 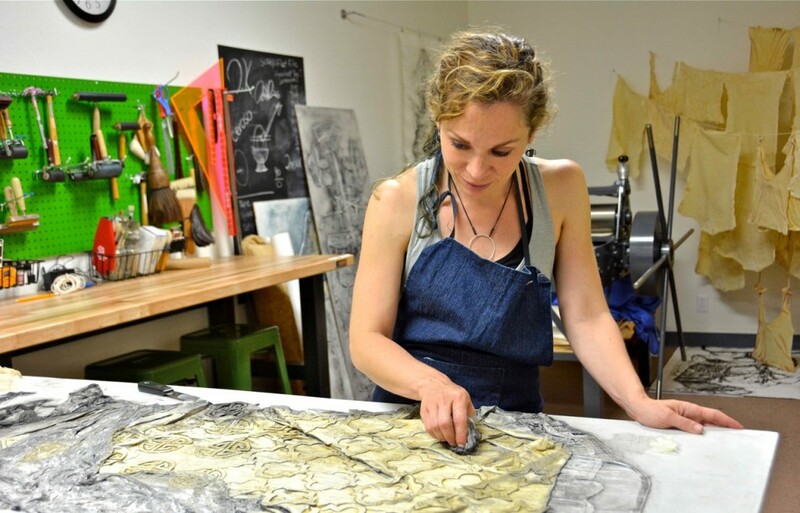 She will also be teaching Printmaking at the San Francisco Art Institute in the fall and at Stanford in the spring. To see more of Irene’s work, visit her website at carvajal-art.com, and like her page on Facebook. My compliments to Alisa & Irene: bright & beautiful!